This is an 18-fact Ethan Hawke trivia featuring his movies, bio and private life, inckuding his ex-wife Uma Thurman, his friendship with Robert Sean Leonard and his movies with director Richard Linklater. 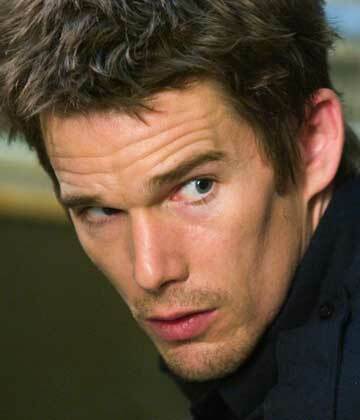 1) Ethan Hawke was born in 1970, in Texas, USA. 2) He stands at 5' 10½" (1.79 m). 3) He carries a striking resemblance to music band Sugar Ray’s front man Mark McGrath, so much that their fans mistake one for the other. However, they don’t really mind. In fact, they found the perfect solution. Whenever fans are mistaken, Ethan signs as Mark and Mark signs as Ethan Hawke. 4) He is a published author. His novel The Hottest State was adapted to big screen by him and he also co-stars. He is also the director of the movie. 5) He is married to Ryan Shawhughes, they have a child together. 6) He was married to Uma Thurman. They met on the set of Gattaca. They have 2 children. Above: Ethan Hawke and Uma Thurman. 7) Their marriage ended because he cheated. 8) Reportedly, he proposed to her twice before she said yes. 9) He and Uma also co-starred in Tape together, along with Robert Sean Leonard, House’s Dr. Wilson. Above: On the left: Robert Sean Leonard. On the right: Ethan Hawke. 10) Ethan has been appearing in movies at a young age. One of his earlier movies is the critically acclaimed Dead Poets Society, starring Robbie Williams. Ethan and Robert Sean Leonard have been friends since they appeared in Dead Poet's Society together. 11) Probably one of his most loved movies is Before Sunrise, a sincere and warm romance movie that stars on a train journey and continues on the streets of Vienna. 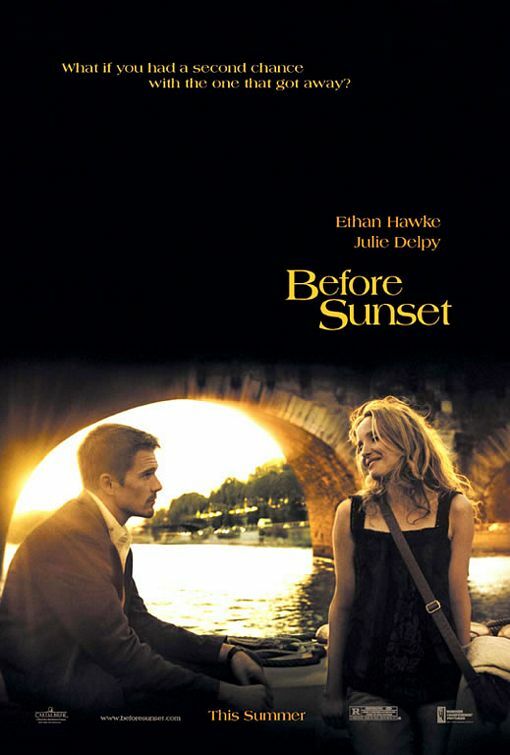 Rated 8.0 on IMDB, this movie by Richard Linklater stars Ethan Hawke and Julie Delpy. Tape is also a Richard Linklater movie. 12) Before Sunrise has a sequel. Before Sunset takes place 9 years after we left Ethan Hawke’s Jesse and Julie Delpy’s Celine and this time the venue is Paris. 13) He has appeared in a wide range of movies and taken a variety of roles, including being a true villain. However I won’t mention the name because it would be a genuine spoiler for the movie. 14) He has been appearing on the screen since 1985. 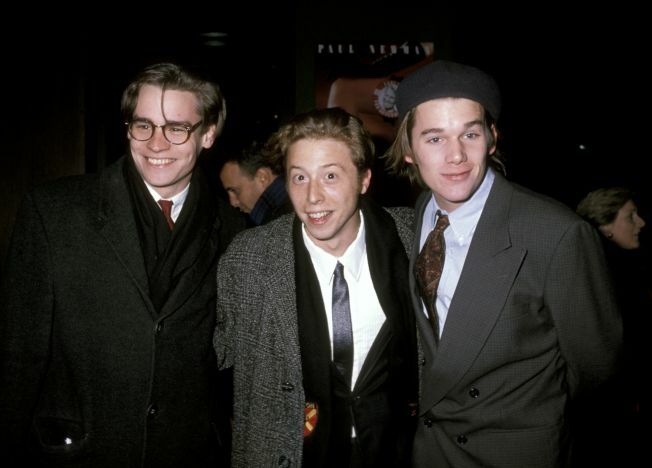 His first film is called Explorers, which he starred with the late River Phoenix. 15) His female co-stars include Teri Polo, Angelina Jolie, Julie Delpy, Uma Thurman, Olympia Dukasis, Gwyneth Paltrow, Maria Bello, Amanda Peet, Catalina Sandino Moreno, Julianne Nicholson and Eva Mendes. 16) His male co-stars include Robin Williams, Robert Sean Leonard, Ted Danson, Jack Lemmon, Craig Scheiffer, Nicholas Cage, Jared Leto, Kiefer Sutherland, Denzel Washington, Richard Gere, Jude Law, William Dafoe, Mark Ruffalo, Kyle McLahlan and Ben Stiller. 17) He has admitted to suffering from depression because of his break-up with Uma Thurman. 18) He has so far played a vampire, a teenager in love trying his best to get the girl, a teenager in a problematic relationship with his father, a young man who meets and falls in love with the girl of his dreams on the course of one day, a ruthless killer, a cop, a plane crash survivor who needs to make a choice between starving to death or eating his dead friends. Good job. I didn't know this.